The word ‘VoIP‘ frightened the hell out of me – it sounded just too damn ‘technical’ for a person like me. I was wrong, and my fear was costing me BIG money! How does saving around $900.00 per year sound to you? My Bell Canada home phone bill was $93.04 per month. Now, my monthly phone bill is about $11.50 CDN (less than just the taxes of my Bell bill) because I use AcroVoices ‘Just-a-Phone’ plan. A saving of $978.48 per year! These companies do it all for you, you need to know zero about VoIP, but they are not all that inexpensive. 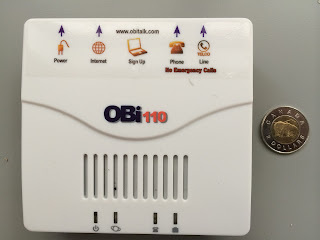 AcroVoice will sell you an Obihai ATA that is already set up and all you have to do is plug it on to your router – AcroVoice manages the ATA for you. Really simple. Their least expensive plan is $10.95 per month plus taxes – I’d still save over $80.00 per month, or, over $900.00 per year! Their support, which I doubt that you will ever need, is AMAZING! With AcroVoice, you will save a ton of money but you do not need to know anything about VoIP – it just works! And, it’s a Canadian company. The difference is, with this third set of VoIP suppliers, you must install and set up a small electronic box on your high-speed router. This box is called an ATA. (Analog Telephone Adapter) The purpose of an ATA is simply to allow you to connect your existing phone to the internet. The set up of an OBI ATA is really simple. If you do not use an ATA, you would have to buy a VoIP phone and set that up. Again, don’t be afraid of the ATA, it’s just a little, harmless electronic box and the excellent support people at Anveo, Voip.ms or AcroVoice will help you every step of the way. Once it is set up, you forget it. 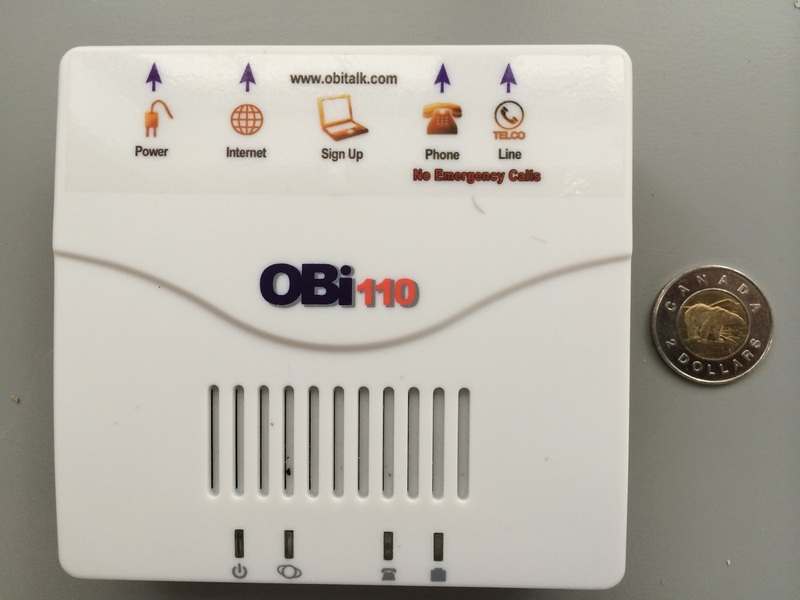 To see how easy it is to install & set up an Obi ATA, go here. This video also shows you how to set up Google to make free phone calls. ATA‘s can also be bought on amazon.ca, amazon.com and a million other on-line stores. They cost between $40 to $80. I use an Obi 110 manufactured by Obihai Technologies. You can buy one from AcroVoice here. An Obi 110 delivered to Montreal, including taxes will cost about $75.00. Edit Oct 2014: Obihai has a number of new ATA‘s. Most people are now buying the Obi 200.